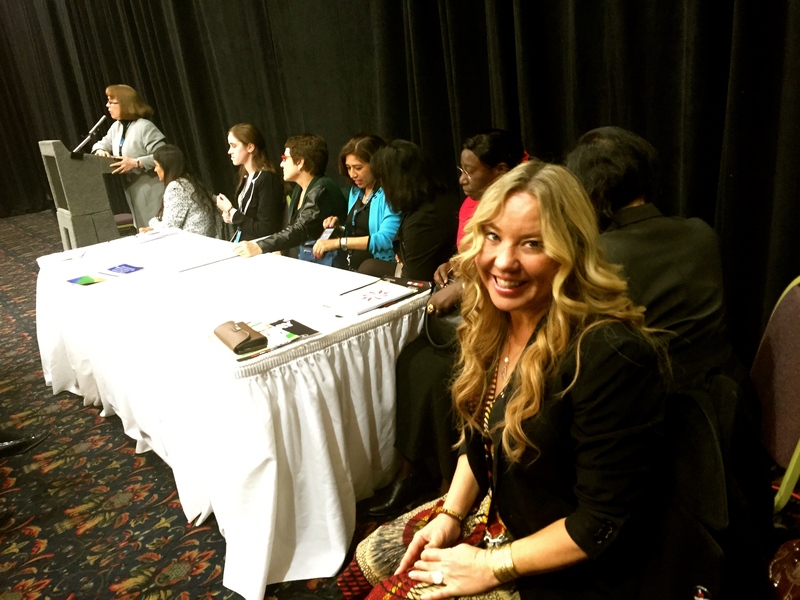 Game changing, eye opening, groundbreaking: this was my experience at the United Nations. Seeing through the eyes of nine thousand women from across the world in the United Nations, was profound to say the least. It shook me to my core to hear the level of sexual violence, inequalities, and unspeakable acts that still exist today around the world. I had the rare opportunity to meet the women who are on the front lines trying to create social change so that all beings—women and men—have equal rights. My first opportunity to share the voice of OneMama.org was at the African Caucus. The objective of this meeting was to highlight the top three issues facing each region in Africa, and add them to the United Nations Declaration. Before attending the United Nations, I asked our coordinators in Uganda to hold a meeting with women of the OneMama Community. There, I asked that they discuss and determine a list of the most important issues for women in their village. I wanted these women to express their voices, which I could then authentically carry to the United Nations. Their response: inequality when distributing family land, wealth, children, and decision-making infringement on women’s rights. I spoke up in the East African Delegation about this specific concern from with the hopes of giving my village a voice. Our East Africa contention started with about eight major issues that delegates had highlighted as being of concern in the region. We narrowed these eight issues down to the top three issues for the United Nations Declaration. Of those selected was the issue of women’s property rights that was put forth by none other than the OneMama Community! The voice of OneMama Community women was selected! One of the proudest moments of my life was representing so many women who never had a voice on a global stage. CEDAW, commonly referred to as the women’s bill of rights, is the second most ratified UN human rights convention after the Convention on the Rights of the Child. By the way, I came to find out that the United States is the only industrialized nation that has not yet signed the ratified treaty. I had the honor of speaking alongside a panel of game-changing women who are bringing true social change for woman of all ages—especially as it concerns the ratification of CEDAW. I wiped away the tears and then made a joke that, “this is not what I am here to tell you. So let me tell you about the work we do here at the OneMama Organization, the creative ways we are empowering our communities, and funding our projects.” I discussed all the social entrepreneurial programs in both the non-profit sector as well as the for-profit sectors. I also discussed how as women, we need to bring our authentic voices forth to participate in the discussions that sculpt our futures. When you only focus on the overwhelming and horrific facts that are impacting woman, men, and children around the globe it can feel defeating. We must focus on our solutions and our ability to create connection as a united authentic voice for all to be treated with dignity. 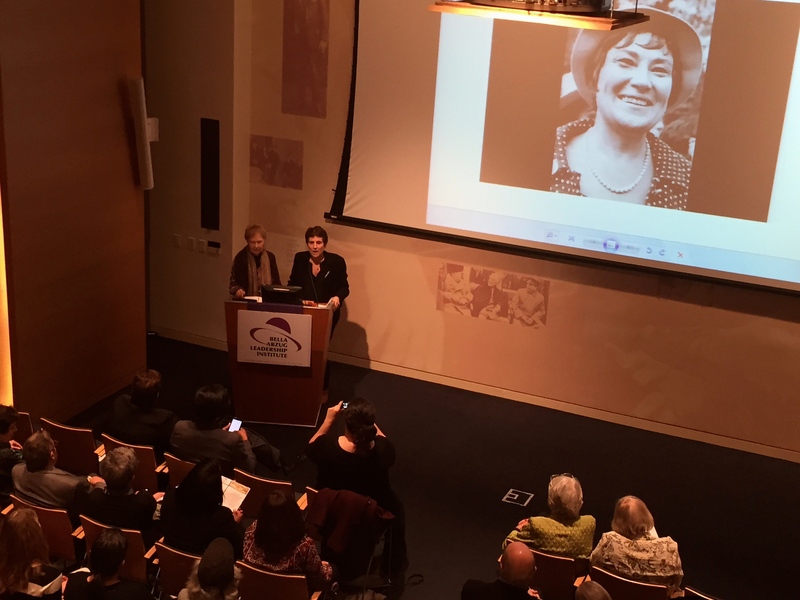 The third and final speaking event was at the historic Roosevelt House to honor the late Bella Abzug and her contribution to women’s rights. I came to this event not knowing as much as I probably should have about the amazing Bella Abzug. This woman, who passed many years ago, was the fire of the movement that entitles so many of us in the US and around the world the rights that we appreciate each and everyday. She did it with a fire, flare, and a very loud voice in a time when women still did not have much experience with using their voice. It was powerful to be in a room filled with the most influential voices on the path for equality. Hearing perspectives from women leaders over the last 20-years, and the behind-the-scenes stories of how far we’ve come, lit a fire inside of me. OneMama was one of the partners for this event, and I was asked to say a few words in Bella’s honor. Of course in normal fashion, tears came to my eyes as I reflected on how lucky I am to have people like Bella who pave a path for woman like me to do the work we do with our own unique voice. To say I stood out at the UN is a bit of an understatement. Apparently, I have a unique way of doing this kind of work that is not like the majority of these policy circles. It made me question if I could really hold my own in this arena. However, after seeing the work that Bella accomplished and those like her, I know I can do it. Bella was eccentric like me and gave me hope that people like me could not merely operate in these policy circles… but rock it! I may make people uncomfortable with my unconventional authentic ways of creating social change… but because of her I know I’m not alone. This evening infused me with a the intention that I will take my unique, authentic voice and stand up for as many disempowered communities as I possibly can! My overall experience, speaking on these three forums, as well as participating in the Untied Nations events, left me in awe. We have accomplished so much as women in the last fifty years, and yet we still have so far to go. I realize I need to step up and do even more to ensure the stories told at future United Nations events are more impactful—with solutions we discussed being put into action. I need us to fight for all people on this planet to feel like they are loved and they matter—that’s why I’m here–and that’s what I’m here to make happen. Siobhan Neilland on her African Village, Becoming OneMama, and Fighting For Joy. | Soul Journalism.